Greater Racine County (GRC), a partnership with Racine County, the Racine County Economic Development Corporation (RCEDC) and Real Racine, highlights and promotes the abundance of opportunities available in Racine County for individuals, families, workers and employers who decide to “take root” in Racine County. This effort is made possible through community partnerships with our municipalities, educational institutions, businesses, civic institutions and the Racine Community Foundation. Racine County cultivates innovative, sustainability, and valued opportunities for community and economic growth. Located on the shores of Lake Michigan, the county boasts lakefront beaches, gently rolling hills, vibrant urban areas and peaceful rural retreats. The Racine County Economic Development Corporation (RCEDC) and its partners provide Racine County Wisconsin businesses with almost every service needed to complete an expansion, relocation, financing, or workforce development project. 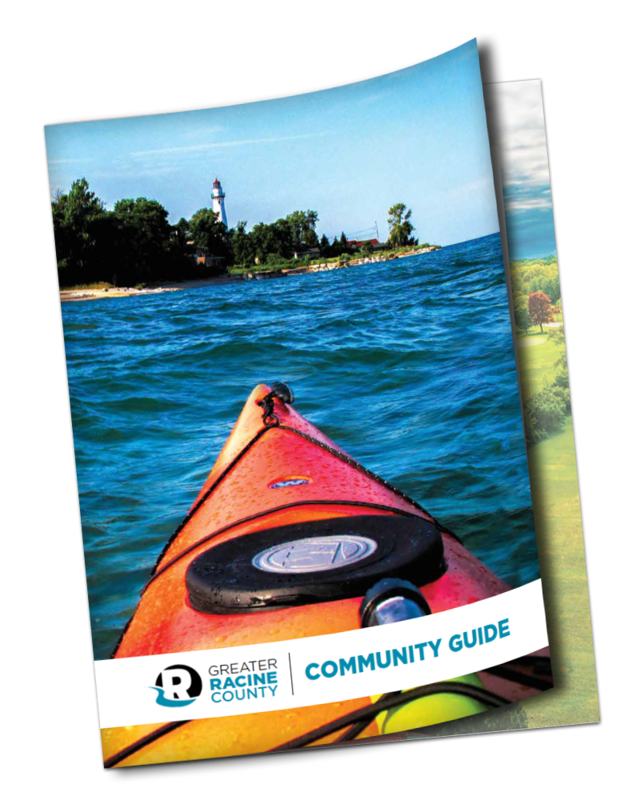 Real Racine (Racine County Convention and Visitors Bureau) is the non-profit organization that oversees tourism promotion and development in Racine County. Its mission is to promote Racine County as an attractive destination to enhance the local economy. For the Racine Community Foundation, there is no greater purpose than to serve the needs of the citizens of Racine County. We remain steadfast to the vision of those individuals who established our organization in 1975, and we embrace the trust placed in us to carry on that vision.